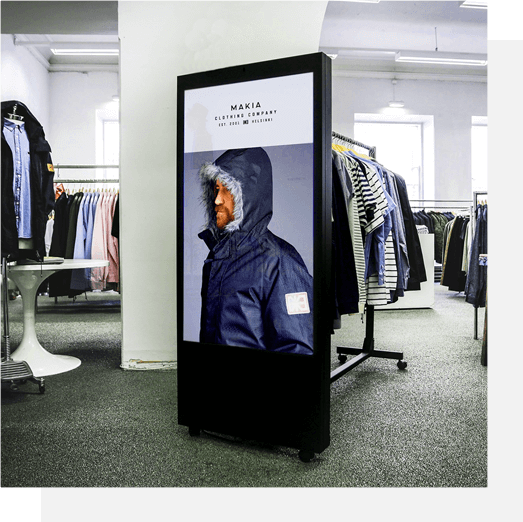 Digital Signage in the display windows, informs and attracts more people into the stores. Once in the stores, Digital Signage can be used to display running offers and promotions. Show a large number of items on a single display and promote specialized products. Enhances the in store experience of the customers by entertaining and engaging them. Happy customers are more likely to recommend a store to others. Effective and quicker tool for internal communication. Experiment with different styles of advertising and promotions to find out what works best.